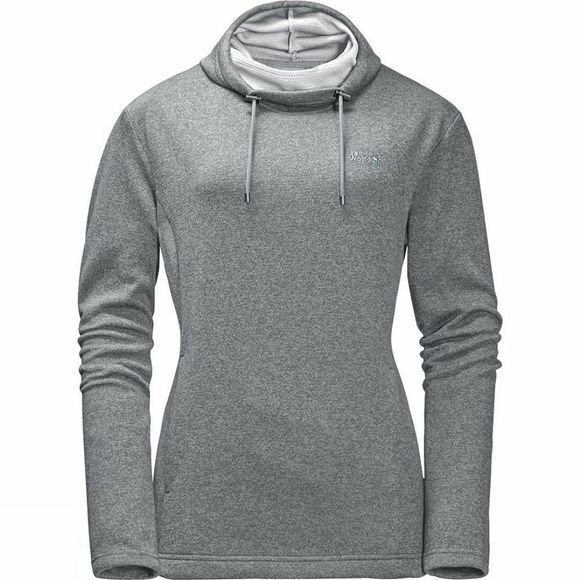 Rocking the laid-back casual look, the Womens Finley Pullover from Jack Wolfskin comes with an extra high collar and a kangaroo pocket. The collar can be folded down like a roll-neck or worn loose, whichever way it happens to fall. The light, flowing fabric makes it possible. The fabric behaves more like a sweatshirt fabric than a fleece. It has a wool-look exterior and a mesh reverse side with moisture regulating properties.